New Delhi, Dec,13 2017 — PureSoftware, a leading fintech platform and a technology service provider, announced that it was selected as the winner of Best Payment Initiative by Financial Innovation Award. 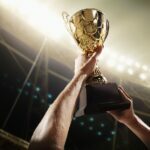 The award is a result of PureSoftware digital payment initiative powered by “arttha” – a white label, multi tenanted fintech solution enabling Digital Banking, Digital Wallet and Core Banking via a single unified platform to provide users with a convenient and omni-channel experience of accessing payment, banking and financial services through a single application. 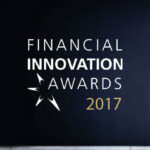 The Financial Innovation Awards presented by The London Institute of Banking & Finance and UK Finance recognizes pioneering companies able to demonstrate innovative ideas capable of creating lasting change in the banking and financial services industry on a global scale. The awards recognise and reward initiatives demonstrating LEADERSHIP, VISION and INNOVATION. The awards were announced at Hilton London Bankside on Thursday 7 December 2017. There were several nominations from across the world that were originally were whittled down to a shortlist of 6 and eventually PureSoftware was selected for the prominent award of Best Payment Initiative. The judging panel combines extensive academic knowledge and industry expertise with many years’ experience in the fields of financial services, insurance and technology. PureSoftware is a software product and services company that focuses on driving a differentiated customer experience, accelerating cycle time and improving business outcomes through an integration of digital solutions, robotic automation and non-linear commercial models. PureSoftware provides value driven services and solutions to its customers by leveraging its offerings in Digital, Product Engineering and Application Development and Management. These services are applicable across industries including Telecom, Financial Services, Life Sciences, Hi-Tech, Gaming etc. Our flagship product ‘arttha’ is one of the fastest growing financial technology platform. 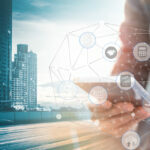 It helps businesses embrace digital solutions in the areas of financial services, mobile banking, branchless banking, microfinance, insurance, payments, and payments aggregation. Arttha has been adopted by more than 50 banks & financial institutions, and four mobile operators, in the last three years. Now in their 20th year, the Financial Innovation Awards celebrate those who deliver innovative services, provide excellent customer experiences and put communities at the heart of their approach. The judging panel combines extensive academic knowledge and industry expertise with many years’ experience in the fields of financial services, insurance and technology.